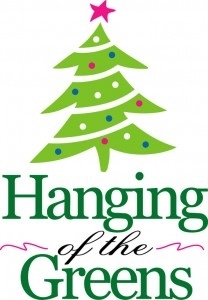 Put Some Color in Your "Black Friday"
Come join your friends as we ready our Church for Christmas with the annual "Hanging of the Greens." We'll meet at the church at 5 pm on Friday, November 25th, to get things ready for the start of Advent on Sunday. Together, it shouldn't take long! Then afterward, join us for dinner next door in the Chapel. A great way to start a beautiful season.